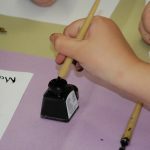 This project, called Old Tools, New Uses, aimed to identify the treasures and duplicates of tools and domestic technology in Scottish museums. Participants were able to learn the importance of items in their collections from our independent specialist advisor, have access to a schools resource and get the opportunity to dispose of duplicate items to artisan communities in Africa in partnership with the charity Tools for Self Reliance. 1. Blacksmith’s Leg Vice. Refurbished by volunteer at Netley Marsh – packed in kit no 0065.003 for Moyamba Training, Council of Churches of Sierra Leone. Despatched 9th June 2011. See www.tfsr.org – Group bulletin October 2011. 2. Ripsaw. Cleaned by Volunteer Ian at Netley Marsh Training Group (a supported workshop for adults with learning difficulties), sharpened by volunteer Malcolm at Netley Marsh main workshops, packed by students at Ringwood School during Fair Trade event, to be sent to Juhudi Carpentry Group in Kigoma, Tanzania. Kit no. 0077.001. Juhudi Carpenters is a group of 5 men, making beds, windows, chairs etc, and they will receive a kit of tools plus training. 3. Treadle sewing machine. Base refurbished by volunteer Simon, machine refurbished by volunteer Alan at Netley Marsh. To be included in kit 0077.022, next shipment to Tanzania. Will be sent to Mahembe Tailoring Group of Kigoma, a group of 12 men and women, 8 of whom are trainees. 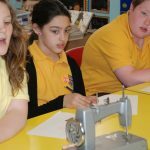 They make school uniforms and other clothes for men and women, and will be receiving sewing machines and haberdashery, plus training provided by SIDO (Small industries Development Organisation). Another industrial sewing machine is about to be refurbished and allocated. In total, Tools for Self Reliance have received 38 objects from the collections. Some more will be matched to places in Africa where they will be useful, with the remainder being used to train volunteer staff. 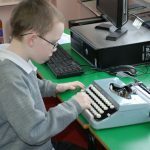 Another charity, Workaid, which also carries out refurbishment work on historic technology, has received 15 typewriters. 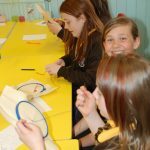 National Learning Resources for Schools via the Scottish Schools ‘GLOW’ network on working through such collections to understand their past and present use, to encourage enterprise, sustainability and innovation. Further information about the project can be found by following the OTNU links in the left hand menu bar. There is information about the launch, workshops and resources related to the project.